I found this recipe interesting one. There is no use of paste or powder spices here. All spices are cut or whole which give bit different flavour. 1. 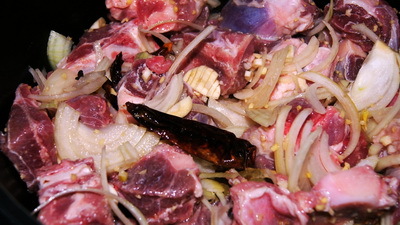 Marinate the meat with vinegar and let it sits for at least 30 minutes. 2. Take the pan and add all ingredients (except yogurt) in meat. 3. Heat the pan on medium and cook it under closed lid till it dries up. 4. Add yogurt and 2 cups of water and stir well. 5. Cook it till meat becomes tender. Check the salt and remove from heat. 6. 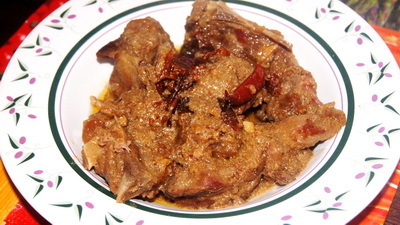 Serve Kata Moslar Mangsho/ Meat curry with cut spices with plain rice or naan. 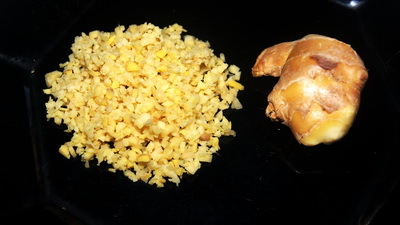 Tips: make sure ginger chopped finely.